In recent years, Turkey has turned its attention to infrastructure, with everything from new airports and hospitals to bridges and roads being built in spite of a challenging political climate. In 2015 alone, the government invested $30bn into the sector, while the total value of projects is set to amount to more than $100bn by 2023 – which means big news for the project finance sector. Among those leading the field is the YDA Group, a collection of companies in Turkey that specialises in build-operate-transfer, public-private partnerships (PPP) and turnkey projects across nine fundamental fields of business: construction and contracting, real estate development, airport management, medical and healthcare, energy, facility management and services, agriculture, IT and outdoor digital advertising. With operations both in Turkey and overseas, YDA Group has been a pioneer in the sector for more than 40 years, establishing side-industry and service branches to meet the ever-changing needs of the market. By taking an innovative approach, the company has managed to stand out from the rest – and reap the rewards of trying out new financial structures. Nowhere has this been more clearly demonstrated than in its Konya Karatay Integrated Healthcare Campus project, which saw the group introduce a new form of financing to the market and bring Islamic funding into the country for the first time in history. It is this forward-thinking attitude that has earned the company the 2017 World Finance Project Finance Award for Healthcare Deal of the Year. This year we’re celebrating our 24th anniversary, but our origins go even further back to 1954, with the founding of AKSA Construction (1975) – the group’s first company. We’ve come a long way since then, witnessing sustained and steady growth across all of our sectors with a particular emphasis on real estate, airport and city hospital projects. Our portfolio is broad, however, with airports, schools, shopping malls, business centres, industrial plants, highways, railway lines and more all part of the mix. We’ve completed around $6.8bn worth of projects over the past few decades and, since we began expanding internationally in the early 2000s, have carried out projects in Kazakhstan, Ukraine, UAE, Russia, Saudi Arabia, Afghanistan and beyond. We continue to be a pioneer both in Turkey and overseas, and are proud to hold several international quality certificates, including ISO 9001:2000 Quality Management Standard, ISO 14001:2004 Environmental Management Standard, and OHSAS 18001 Occupational Health and Quality Management Systems Standard, all of which help to demonstrate the reliability of our group as a whole. What we believe truly sets us apart, however, is our innovative and groundbreaking approach to projects. 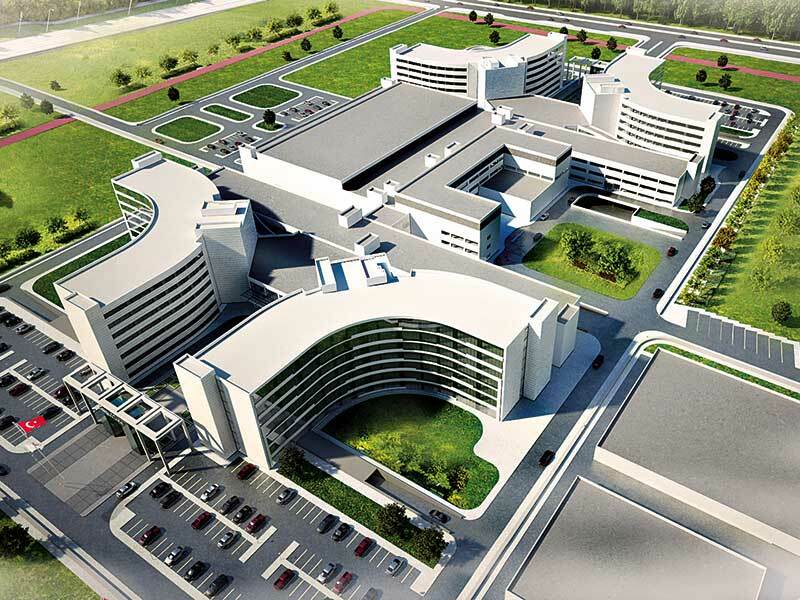 We recently took on the Konya Karatay Integrated Healthcare Campus project and became the first company in Turkey to use Islamic financing to fund a PPP deal. In line with our diversification strategy and ambition to try out new, innovative financial structures, we got the Islamic Development Bank (IsDB) on board, combining Sharia-compliant financing with conventional forms to reduce costs and explore new ground. This marked the first time in history that both of these structures had been used to finance a PPP healthcare project under the same documentation in Turkey, and the first time the IsDB had ever entered the Turkish market with a project finance deal. It was also the first time the IsDB had financed a healthcare PPP project of any kind. This meant we were able to introduce a new low-cost international financial institution, with vast experience and access to outside resources, into the country. Success followed; the project achieved an 18-year tenor, one of the longest in Turkey among PPP and BOT projects, thanks to a considerable amount of non-recourse and a ringfenced loan facility, alongside the innovative financing structure. This was exceptional for a market where longer tenor financing is relatively rare. This structure lowered the costs compared with other Turkish healthcare deals supported by ordinary project finance credits and, despite the complexities, closing the deal also took less time compared with others of a similar scale. We now expect Sharia-compliant funds from elsewhere in the world to mimic the IsDB by moving into the market. There were several factors that helped us secure the project in the bidding process. Among them was our extensive experience in the healthcare sector (especially in terms of PPP projects), a strong track record in large-scale infrastructure work, credibility, a healthy balance sheet, and smooth and easy access to financial markets. Careful, advance planning of the new financial structure, so as to ensure the Islamic and conventional tranches were combined under the same documentation as smoothly as possible, was also central to our success. The deal was financed entirely by international institutions. Both the Islamic and conventional lenders came from outside Turkey, although a local bank – Ziraat Bank – was used solely for the local account and to act as the security agent. The project comprised both conventional commercial banks – namely UniCredit Bank Austria and Siemens Bank – and international financial institutions; among the latter were the European Bank for Development (EBRD), the IsDB and the Black Sea Trade and Development Bank (BSTDB). The deal was made up of a mixture of western (European) and eastern (Islamic) financiers. The specific form of Islamic financing used was Istisna, used for the advance funding of construction and development projects, whereby rules include setting a fixed price at the start and fully committing to the contract once work has begun. As part of a comprehensive long-term financial package, the EBRD arranged a €147.5m ($165.9m) syndicated loan under its A/B loan structure, with €67.5m ($75.9m) for the bank’s own account and €80m ($90m) syndicated to UniCredit Bank Austria and Siemens Financial Services. The BSTDB and the IsDB, meanwhile, provided parallel financing of €50m ($56m) and €67.5m ($75.9m) respectively. The EBRD has been one of our key partners for many years in terms of both bond issues and project financing, so working with them again was a natural choice. The bank has been a pioneer in Turkey’s PPP sector, with prior experience financing several PPP healthcare campus projects and the Dalaman Airport project. This strategic partnership has in turn drawn other IFIs to look towards YDA Group. The IsDB has likewise firmly established itself as a key partner for us. This relationship has been further strengthened by its involvement with the Manisa Healthcare PPP project that followed which, as with Konya, achieved an 18-year tenor. There were several other positive outcomes achieved through the Konya project. The announcement of the deal by the EBRD and IsDB encouraged other IFIs to look to YDA Group, while the combination of both conventional and Islamic financing attracted widespread attention to Turkey’s healthcare sector as a whole. Prior to the deal, there was concern over the potential challenges that hybrid financing structures in the same documentation would entail; our groundbreaking approach has helped dispel those fears. In the Global Infrastructure Forum, which was sponsored by the IsDB and took place on April 16, 2016 in Washington DC, the Konya deal was held up as a pioneer in the project finance sector and was used as an example of how Islamic and conventional financing can be combined in the same project. It was introduced to all participants at the forum, thereby increasing public awareness among an influential audience. Furthermore, by successfully closing the deal, YDA Group has helped bolster confidence in the Turkish market and its PPP healthcare sector. In using financiers from different markets and providing a relatively large credit facility – with a long tenor and low costs – we have also proved hybrid financing is feasible when it comes to financing PPP healthcare projects. This has helped encourage others to try out new, innovative financial structures to achieve success, while putting forward the IsDB as an eligible alternative for financing future large-scale projects. Despite the previously untested and relatively complex structure involved in merging the IFIs and foreign commercial banks under the same umbrella, the loan extended to the company achieved the longest tenor of any PPP healthcare project in the Turkish market. It has paved the way for other global funds to move in, encouraging companies to diversify their funding channels in unprecedented ways. We have shown that taking an innovative approach and challenging the status quo can have long-term, positive effects on both the success of individual projects and the wider market around them, and we believe that in doing so we have helped shape the future of project financing in Turkey.